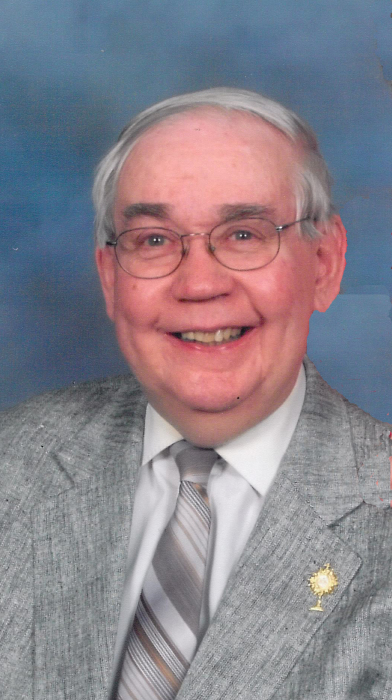 BARBERTON---Patrick S. Ott, 74, passed away September 3, 2018 after several medical issues. Pat was born in Wadsworth and was a Barberton resident all his life where he was the Owner/Operator of Ott’s Decorating Center for over 40 years. He was a faithful parishioner of St. Andrew the Apostle Catholic Church in Norton where he was an usher, Eucharistic minister and choir member and Holy Name Society member. Preceded in death by his parents Sylvester and Helen; he is survived by his loving wife of 48 years, Natalie; children Natalie (Rob) Paul and Ryan (Ericka) Ott; grandchildren Nicholas, Madison and Jacob Paul; and Sophia and Audrey Ott; brothers Philip (Mary) and Ronald Ott; and several nieces, nephews and cousins.